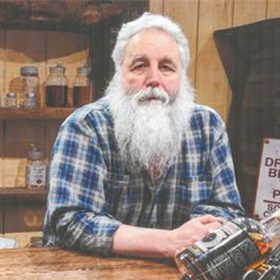 Craig Steven Ferchat, the founder and president of Canada-based Copperhead Distillery, has died at the age of 58. Ferchat died suddenly and peacefully at his home on Thursday 27 December 2018. A statement posted on Facebook by Copperhead Distillery read: “The Copperhead Family was shocked by the sudden passing of our president and founder, Craig Steven Ferchat. “He was the foundation that this company was built on. The idea to start a distillery in northern Ontario seemed far-fetched but his hard work and perseverance made his dream come true for him and his family. “Copperhead Distillery would not exist if it wasn’t for Craig. We wish to continue his legacy and vision through Copperhead for years to come. Ferchat leaves behind his wife Sharon Ferchat, his five children and two grandchildren. A service was held for Ferchat at Opatovsky Funeral Home – Moore Chapel in Sundridge on 2 January. Condolences and tributes can be posted online here. Copperhead Distillery, based in the village of Sundridge, Ontario, produces a range of moonshine, rum, vodka, gin, brandy and speciality spirits.